OUR BEST PRICE EVER! LIMITED QUANTITIES! The FlexTone 8000® will take care of all your needs by combining power and ease of use. Simultaneously work separate body parts and specific muscle groups. 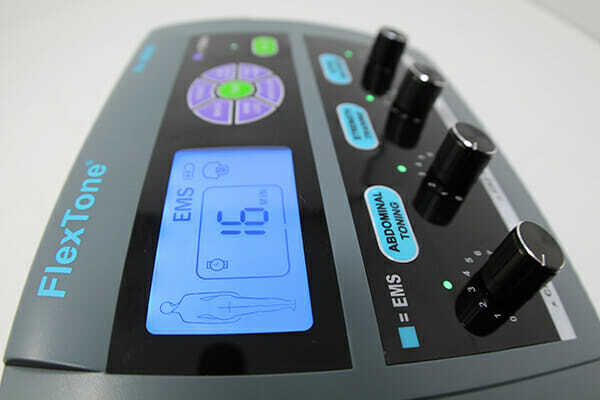 BENEFITS OF EMS & TENS. The Body IQ Wheel offers 6 Pain Programs designed for individual body parts which are located in the purple button bank. KNEE & ELBOW – This program is a combination of rapid pulses followed by a series of slower more deliberate contractions. The mixture is very effective in eliminating knee and elbow pain because of high cartilage and bone density. Recommended stimulation time is 20-30 minutes. SCIATIC – The Sciatic program produces a strong, steady and deeply penetrating frequency that is critical in preventing hip pain. 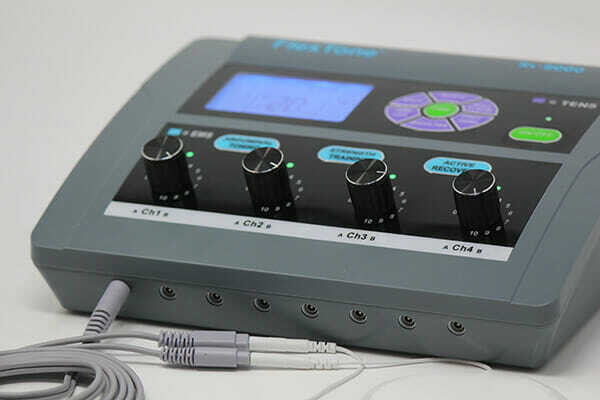 The Sciatic frequency is designed for people who suffer from sciatic nerve pain. Recommended time 20-40 minutes. 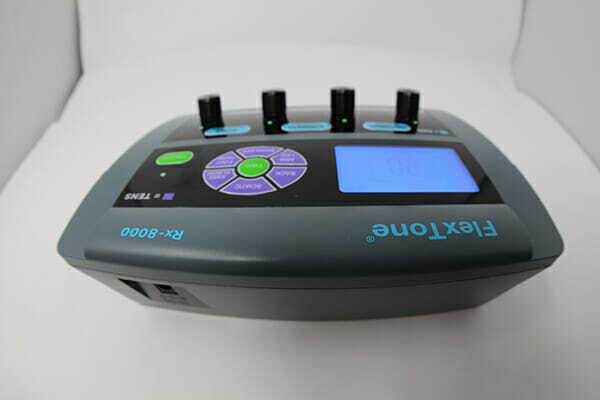 BACK – The Back program offers a combination of deep penetrating therapy, coupled with soft and gentle pulses allowing you to treat a variety of back pain from tightness, to sore or strained muscles. This program works best when used with the Back & Ab Belt Pro. Recommended time 20-30 minutes. ARM & LEG – The program uses a series of 4 unique cycles that are designed to reach deeply into the muscles. Beginning with a series of rapid pulses, followed by smooth powerful contractions, and finishing with short, deep, deliberate pulses. Recommended time 20-40 minutes. SHOULDER – The shoulder program is designed for all areas related to the shoulder muscles in order to prevent pain in the upper back, neck, and shoulder area. The program cycles throughout multiple frequencies. Recommended time 20-30 minutes. FOOT & HAND – The Foot & Hand program is designed to increase blood flow to the ankle, foot, and toes. It can be used on foot, ankle or hands. 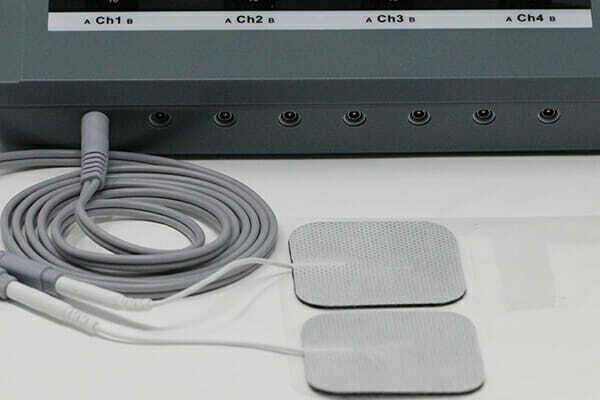 It is recommended to use this frequency with our therapy sandals or the smaller 2”x 2” electrodes. Recommended time 15-30 minutes. Since the Early 1970’s athletes have turned to EMS, or electrical muscle stimulation, to push their strength to another level. By incorporating EMS into your workout routine, or even by itself, you can increase your muscle performance, strength, and muscle tone. ABDOMINAL TRAINING: Core Muscle Strength is the most important factor for overall body mechanics. A strong core is crucial for injury prevention. The abdominal muscles are one of the most important muscle groups for fitness and wellness. A great benefit of a stronger core is that it will strengthen your lower back. The Abdominal Toning Frequency with the FlexTone 8000 utilizes cutting-edge research to deliver the most effective and comfortable abdominal workout possible. The Abdominal Toning Frequency relies on a deep penetrating and rhythmic frequency in order to stimulate a thorough contraction. 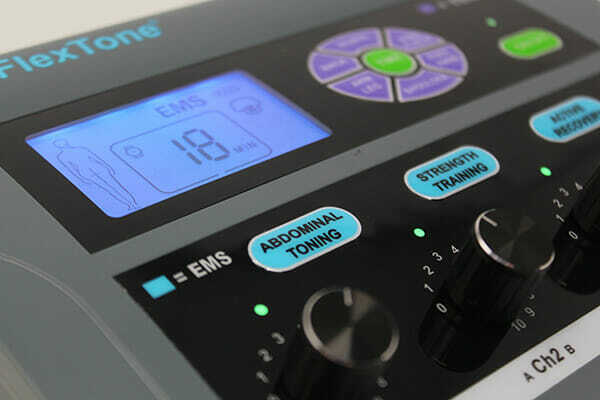 The Abdominal Toning frequency works well with all electrodes and the Abdominal Belt provided with your unit. Recommended Time: 30-45 minutes. 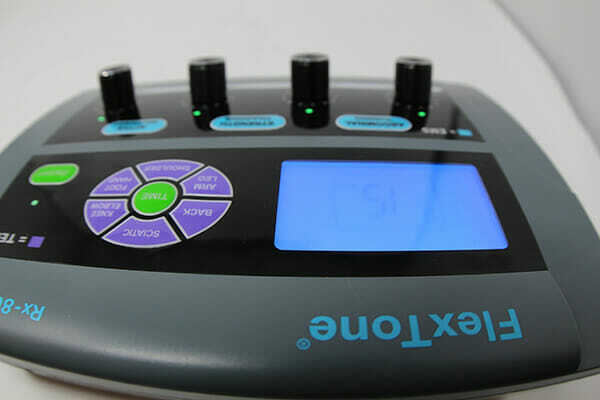 ACTIVE RECOVERY: Active Recovery, as opposed to passive recovery, is the new Buzz Word being used by many different muscle stimulation companies. What is Active Recovery? Simply put Active Recovery is the stimulation and exercise of muscles in the off-day of a training routine. The function of Active Recovery is to stimulate sore muscles, decrease recovery time between workouts, increase strength, and specifically reduce pain associated with DOMS also known as Delayed Onset Muscle Soreness. Active Recovery works by removing waste buildup, bringing nourishment to muscles, enhancing blood flow. 1. Battery Indicator Indicates remaining battery life. 2. Body IQ Display The human body figure will highlight the exact spot selected from the Body IQ wheel. 3. Time Indicator This allows you to set the time of your session. 4. 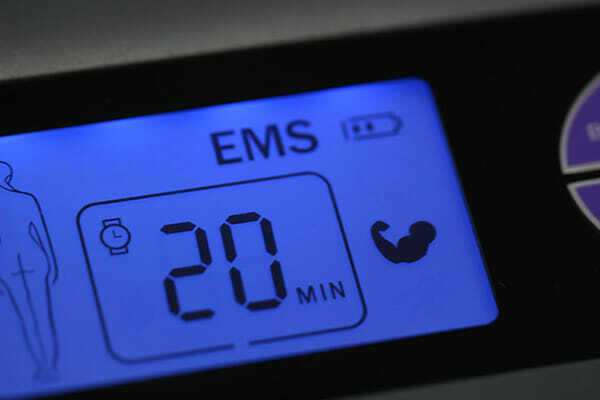 EMS or TENS Program indicator. stimulation and exercise of muscles in the off-day of training. associated with DOMS, or Delayed Onset Muscle Soreness. 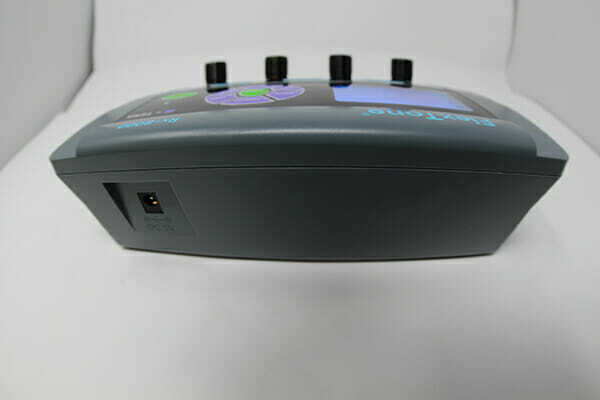 The StimRx Active Recovery Program is a unique blend of frequencies including both TENS and EMS, which provide the most efficient and effective Electronic Active Recovery on the market. 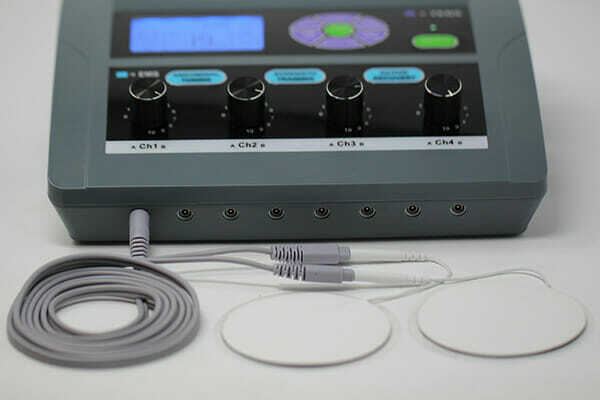 Electronic muscle stimulation provides one of the best forms of active recovery because of its low-impact deployment, coupled with convenience and control. 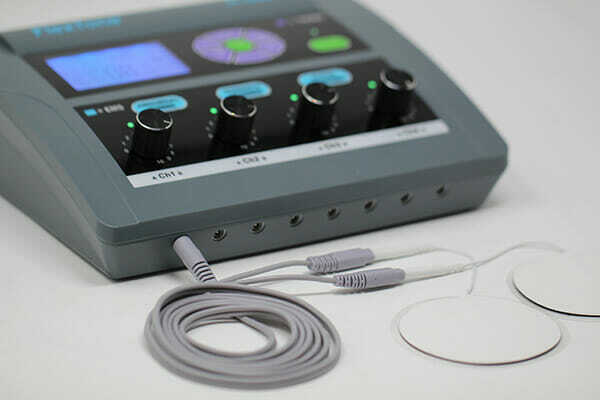 Electronic Muscle Stimulation allows the user to pinpoint specific muscles for treatment while using very little amounts of energy. 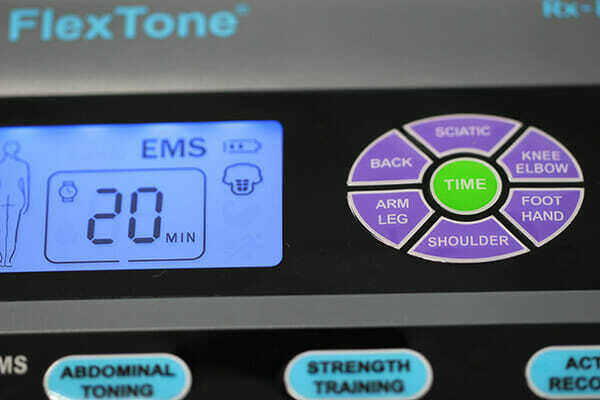 Active recovery with EMS is comfortable, convenient, and highly effective. 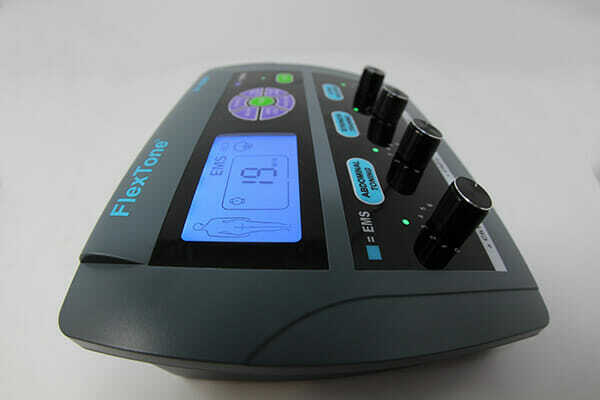 The FlexTone 8000 has the Russian Stim Frequency. 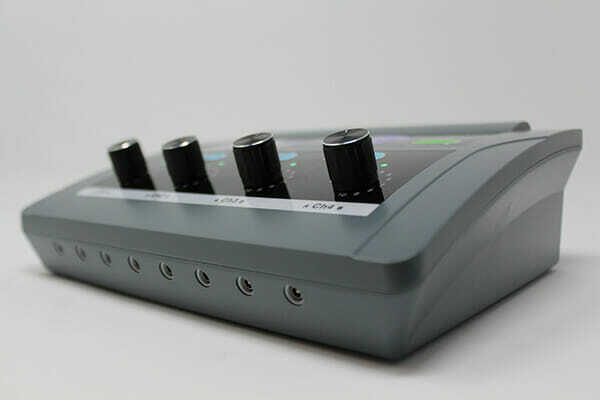 Russian Stimulation is a specific form of electro-stimulation with a Symmetrical Biphasic Square waveform produced by dividing a 2500 Hz carrier frequency into 50 Hz packets. Originally developed by the Russian Olympic team for muscle mass enhancement, is now often used for muscle strengthening, muscle spasms & Edema reduction in the United States. 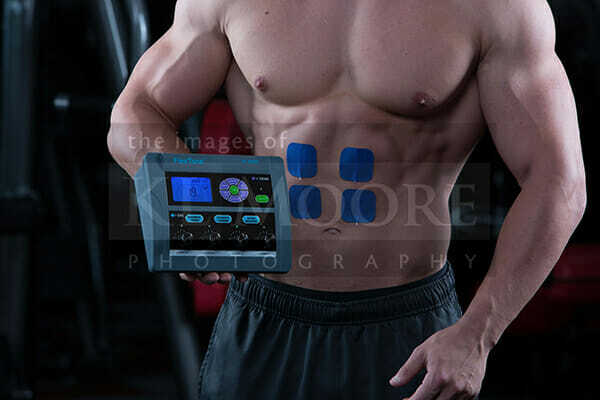 Russian Muscle stimulation is similar to EMS. 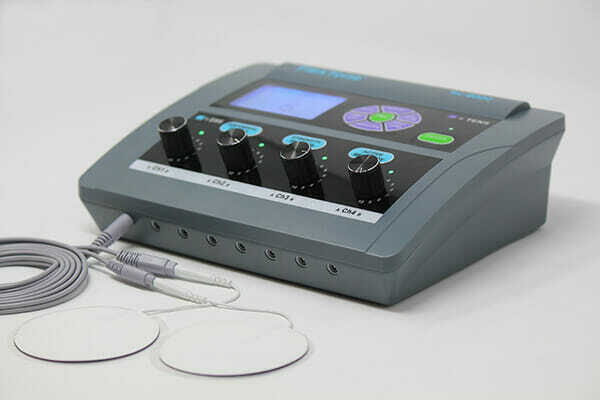 It is designed to stimulate motor nerves. However, the high frequency of 2500 Hz allows for deeper muscle penetration and a more complete/stronger contraction of the muscle fibers. 1. On/Off Button Press for 1 Second to turn unit On or Off. green when the unit is on. 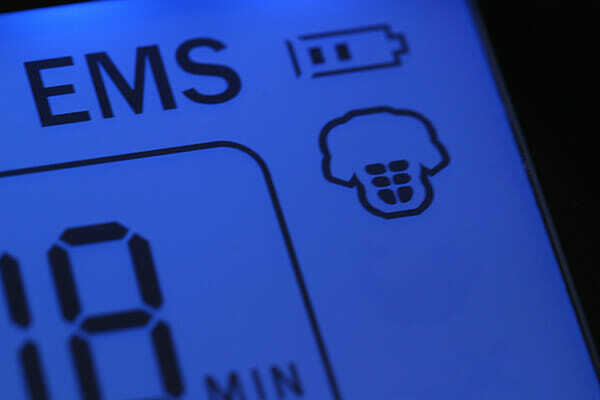 selected program, time and indicates battery life. 4. TENS Body IQ The Purple Buttons are for Body IQ. bottom of the unit control the intensity of each channel. 8. Timer Adjustable between 10-60 Minutes. 9. Channel Indicator Each channel has an A or B setting port. Choose either A or B to stimulate all ports are the same. 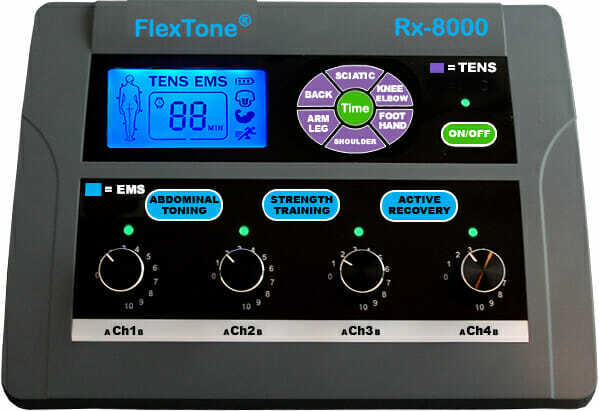 Why is the FlexTone 8000 the Number 1 bestselling Muscle Stimulator in the world? 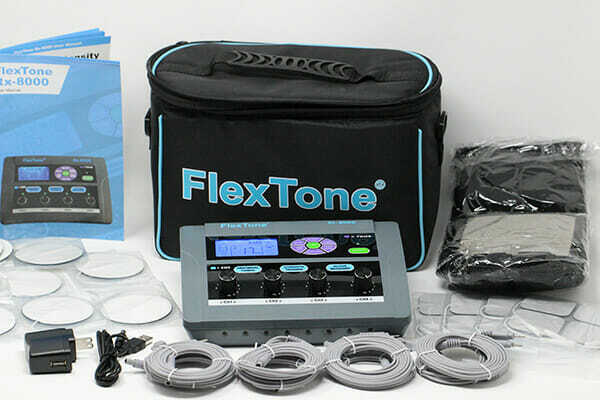 The FlexTone 8000 will take care of all your needs by combining not only power, but also ease of use with 9 pre-programmed modes. 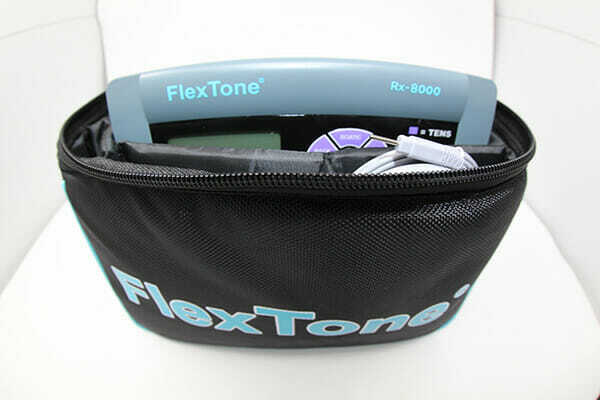 The FlexTone 8000 offers 8 lead wires connecting 16 electrodes that can simultaneously work separate body parts and specific muscle groups. 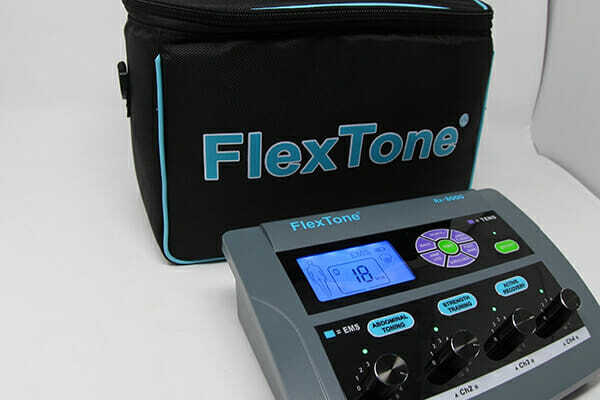 Additionally, the FlexTone 8000 comes equipped with a powerful rechargeable battery that allows you to use the FlexTone 8000 virtually anywhere! Abdominal: Program for strengthening & Toning. Massage: Recovery Program designed to speed up post-workout recovery. 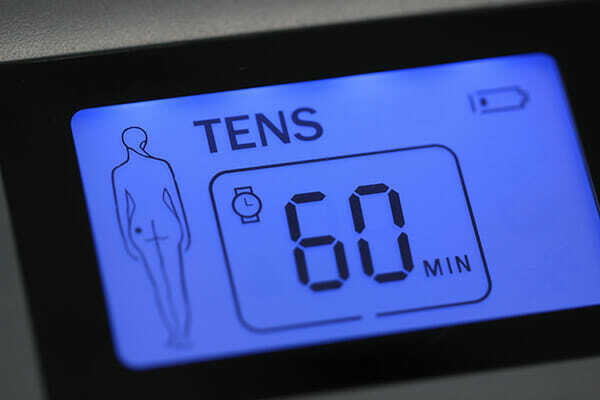 The TENS dial has 6 unique frequencies designed for: Knees & Elbows, Back, Hip, Foot & Sole, Shoulder, Arm & Leg. 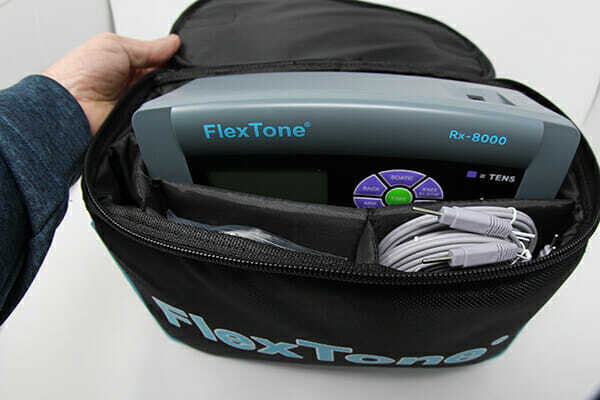 The FlexTone 8000 has built in Russian Stim Technology: Russian Stimulation is a specific form of electro-stimulation with a Symmetrical Biphasic Square waveform produced by dividing a 2500 Hz carrier frequency into 50 Hz packets, While originally developed by the Russian Olympic team for muscle mass enhancement, Russian Stim is now used for muscle strengthening, muscle spasms & Edema reduction in the United States. 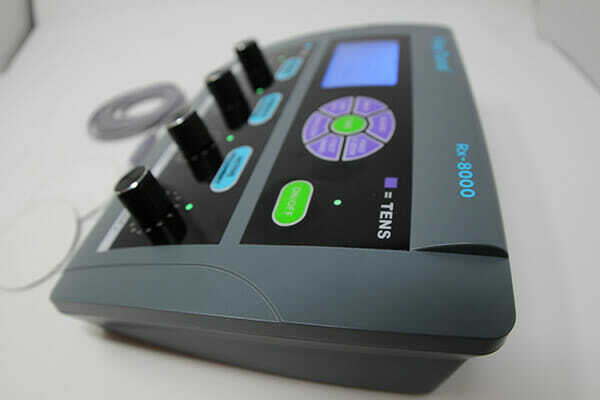 Russian Muscle stimulation is similar to EMS. 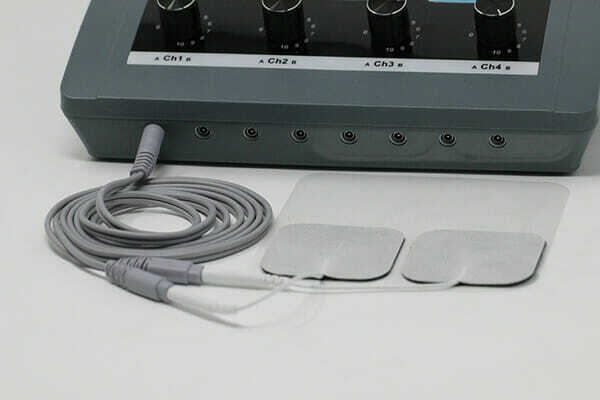 It is designed to stimulate motor nerves. However, the high frequency of 2500 Hz allows for deeper muscle penetration and a more complete/stronger contraction of the muscle fibers.